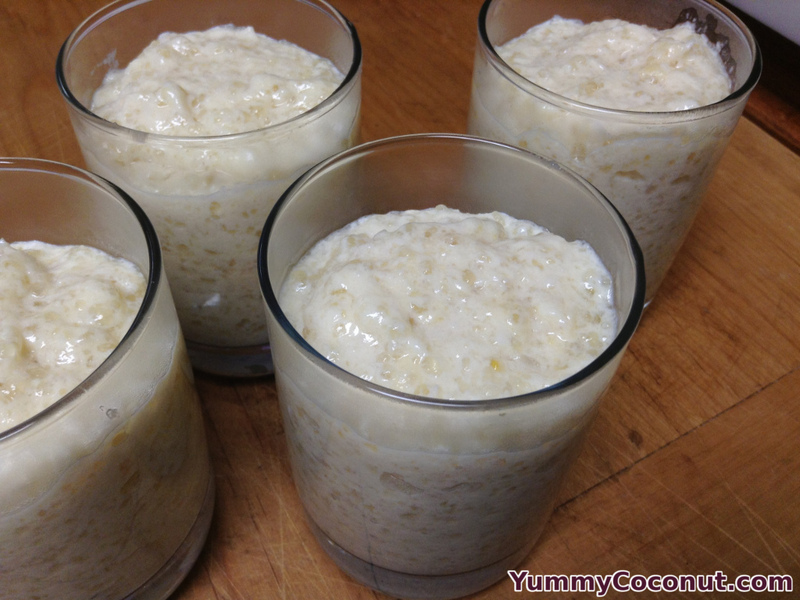 If you like tapioca pudding and you like coconut, you will love this coconut infused tapioca pudding. Serve it warm or chilled, it makes a great treat any time of day. Place all ingredients except for the vanilla in a medium sized saucepan and heat over medium-low heat. Stir constantly until the pudding has thickened to the point where it can coat the back of a spoon (10-15 minutes). This pudding has a light coconut flavor, if you would like it to have a more powerful coconut punch, add in half a teaspoon of coconut extract. If you heat the mixture too quickly you can cause the egg to scramble so make sure to go slowly. Also, make sure to stir, otherwise you can wind up with scorched milk stuck to your pan.